I’m not great at pulling off April Fool’s Day Pranks. I’m the kind of person who starts laughing before I deliver the punch line of jokes. On the other hand, I am the sort of person who thoroughly enjoys a practical joke or two, especially when I’m not the only sucker. That being said, I’ve compiled a list of some of the best April Fools Jokes that have been pulled by the media. I mean, think about it– the power the media has over us and what we believe in incredible. Case in point: The War of the Worlds broadcast. A simple radio show sounded so real that people were running for their lives. I’m sure there’s a good media/psychology study somewhere in there, but this post is all about the fun. Enjoy! In 2009, the whole YouTube website did an 180. 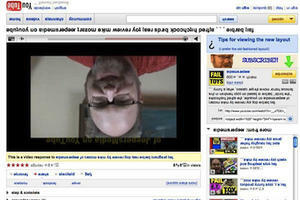 The text, the videos, the everything– completely upside down. I can only imagine how trippy David Goes to the Dentist was then. In 1998, Burger King dished out the money to buy a full-page color ad in USA Today, announcing their latest addition to the menu: the Left-handed whopper. So what would be different about this lefty-friendly burger? The ingredients would remain the same, the ad proclaimed, but the condiments would be rotated a complete 180 degrees. The results? 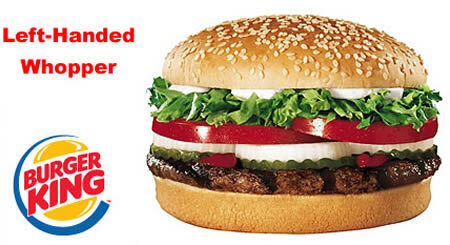 The fast-food restaurant reports that they received plenty of “left-handed” orders, as well as requests for the typical “right-handed” whopper. Picture this: It’s 1957 and your turning on your brand new television (or should I say telly? ), when the BBC reports that the weather conditions are ideal for the Swiss spaghetti season. 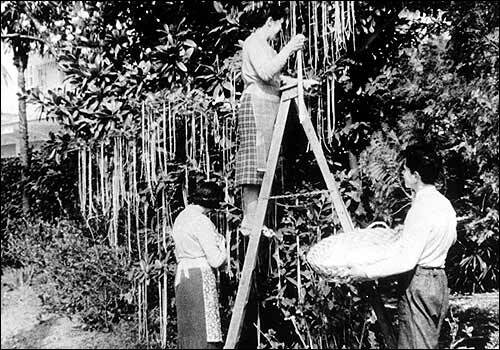 The report is followed by the discussion of the dreaded spaghetti weevil and accompanied by a picture of people pulling spaghetti off large trees– what else were people supposed to think? I mean, where else could spaghetti possibly come from? Several eager viewers even called in to find out how to grow spaghetti of their own. By now, all of us have heard Rick Astley’s classic “Never going to give you up.” Often, we have heard this song in a video when we were expecting something else. 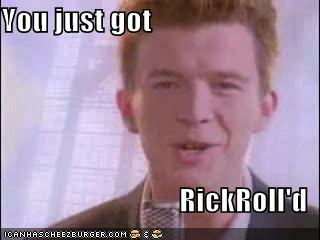 This phenomenon has been scientifically dubbed “RickRoll’ing.” In 2008, YouTube, as the ever clever pranksters they are, RickRoll’d the world. Each and every video on their site led to Astley’s cheesy 80s performance of his cheesy 80s song. Touche, YouTube. Honestly, I could go on for hours with all the fabulous pranks that the media has pulled on us, their sometimes dimwitted audience. Instead, I’ve included some links below for you to check out and enjoy. So good luck this April Fools, either in your own pranking or in being pranked. During my internship I was assigned to log onto a clients’ twitter page and follow all of the Fortune 500 companies. Our client worked as a business to business counselor, so any connections we could make for her with big name companies were greatly appreciated. And so I set to work, searching company by company according to the list. 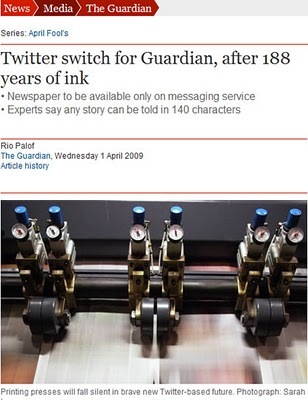 Needless to say, the process became a bit tedious, but I was interested to discover the number of these large corporations that enlisted the use of social media. An article from Ragan’s PR Daily has revealed to me further social media trends of the Fortune 100 companies. The information comes from Burson-Marsteller’s social media study released yesterday. So what do you think? Any surprises? 1. Twitter is the most popular social media platform. 77% of companies have a twitter page. 2. Companies are interacting more on Twitter. 67% use “@” to communicate with consumers. 3. Fortune 100 companies have more Twitter followers. 4. More people are talking about companies on Twitter. 5. Facebook use increased by 13 percent. The number of ‘likes’ have increased 115%. 6. Companies are giving their stakeholders a voice on Facebook. 75% let customers post on their walls; 72% respond to wall comments. 7. The number of YouTube accounts increased. 57% have a YouTube page. 8. More companies are using “all four” social media platforms. 25% have a Twitter, Facebook, Blog, and YouTube page. 9. Asian companies are helping fuel the increase in social media. 10. Companies are embracing the blog. The average number of blogs per company increased 63%. They are the Ross and Rachel of toys. Will they or won’t they? Their indecision has plagued us for years…and the intrigue has just gotten even more compelling. Many might recall that back in 2004, Barbie and Ken, the idyllic couple of our childhood imaginations, decided to take a bit of a romantic break. Perhaps these two ‘plastic celebrities’ decided they each wanted to spend just a bit more time on one of their numerous careers (i.e. rocket scientist, professional dancer, veterinarian). Whatever the reasoning, Mattel, Inc. split the two up. And now, on the eve of Ken’s 50th birthday (wow, he looks good for his age– think he had some work done? plastic surgery maybe? sorry lame joke), Mattel has launched a digital marketing campaign of epic proportions in an attempt to reunite the two lovelorn dolls. A jack-of-all-trades, Ken’s next greatest challenge is to win back his true love. Since the break up, Ken has been undergoing an image overhaul. Now he’s ready to show his new self off, and he’s using the power of social networking to do so. 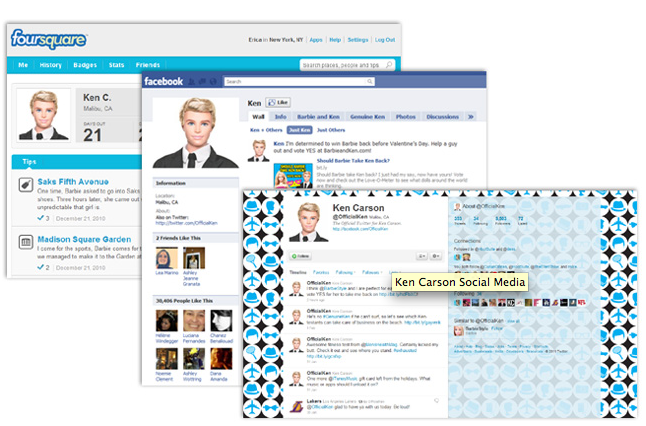 Consumers are encouraged to check out Ken’s profiles, as well as the hub site barbieandken.com. You can even vote in an online poll asking, “Should Barbie Take Ken Back?” Leaving no viral stone unturned, other social marketing sites being utilized include Facebook, twitter, foursquare, and YouTube. Fans can follow the love story as it unfolds, with both of the dolls actively engaging in socializing through these sites. Ken has been known to tweet anything from nostalgic memories about times with Barbie to his favorite articles in contemporary mens’ magazines. So why the campaign, and why now? Well, besides the obvious excitement over Ken’s birth-aversary (that’s birthday and anniversary combined), the release of the latest Ken doll is also causing quite a stir. The new “Sweet Talking Ken” doll is described as being “the ultimate boyfriend for every occasion,” praising his ability to say “whatever your want him to say!” Certainly sounds good. 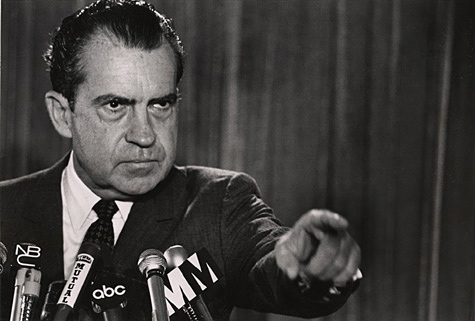 Another clever scheme is the product incorporation within the campaign. Ken be seen promoting any number of products. For instance, he uses a Macbook while browsing Google Chrome. All in all, the concept seems pretty great. The famous dolls’ relationship spans generations, and by using the internet, the company has successfully targeted the modern youth. What do you think? 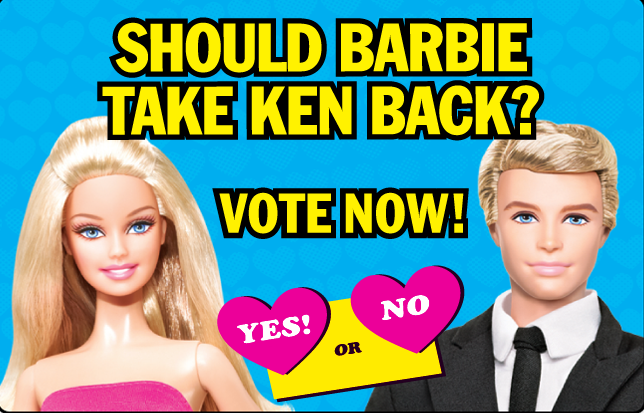 And more especially, should Barbie take Ken back?